Our client, a reputed established marketing organization in the Sultanate of Oman, Muscat operating successfully for the last 32 years. They are the market leaders for various range of products in the field of Electrical/Power Distribution System. They also have a inhouse MEP Contracting wing who undertake turnkey project in the MEP Segment. Their present client segment consist of Government Authorities, Architects, M&E Consultants, International Contractors (Civil, Mechanical and Electrical) plus Bazar segment. They are looking for for Sales Engineers. Sales Engineer - Would prefer a degree/diploma holder in electrical engineering with 4 to 5 years work experience in the field of sales/marketing of electrical products like i.e. cables, switchgear, transformers, cable accessories, lighting and street light poles. Candidates with gulf experience with GCC driving licence will be given preference. Salary will be R.O.450/- plus we will provide furnished bachelor accommodation and electricity and water charges will be borne by the company. Company maintained car will be provided. Medical reimbursement against minor ailment will be taken care of. Annual air passage with 30 days paid leave will be given on successful completion of one year service. Candidates will be subject to six months probation and confirmation will be issued on completion of probation period. 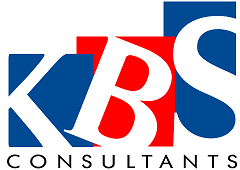 Please email your resume to priya@kbsconsultants.com with present and expected salary details.